The team in Vietnam recently finished their annual Pastor's retreat. Pastor Joseph Myung from San Diego ministered to over 45 local pastors and bible students. 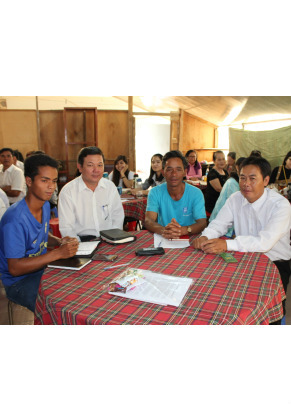 Our team recently helped with the ordination interviews of five pastoral candidates. This was a humbling and encouraging time as they spoke with men who have been serving in the church for many years in the face of persecution, illness and family issues. They heard testimonies of conversion and saw the power of the Holy Spirit at work.